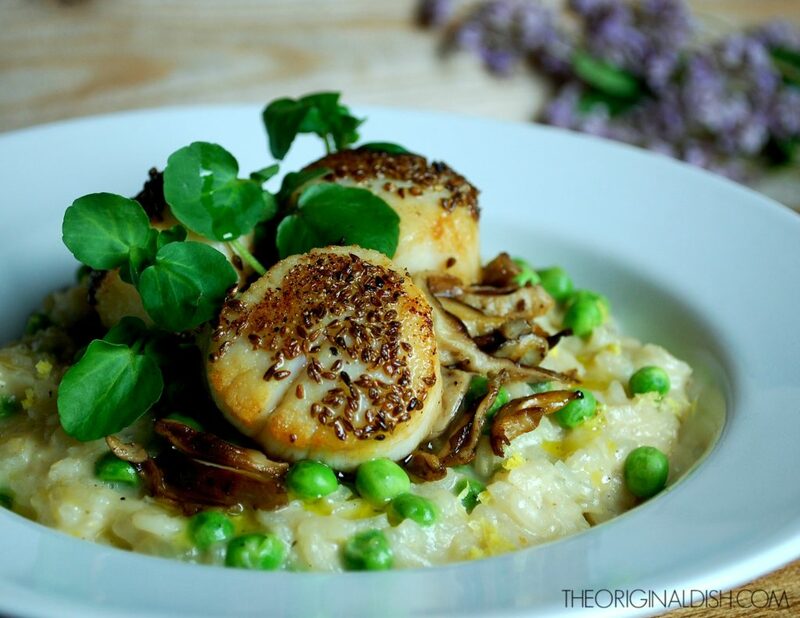 This risotto is lemony, cheesy and the perfect base for sizzling hot scallops. 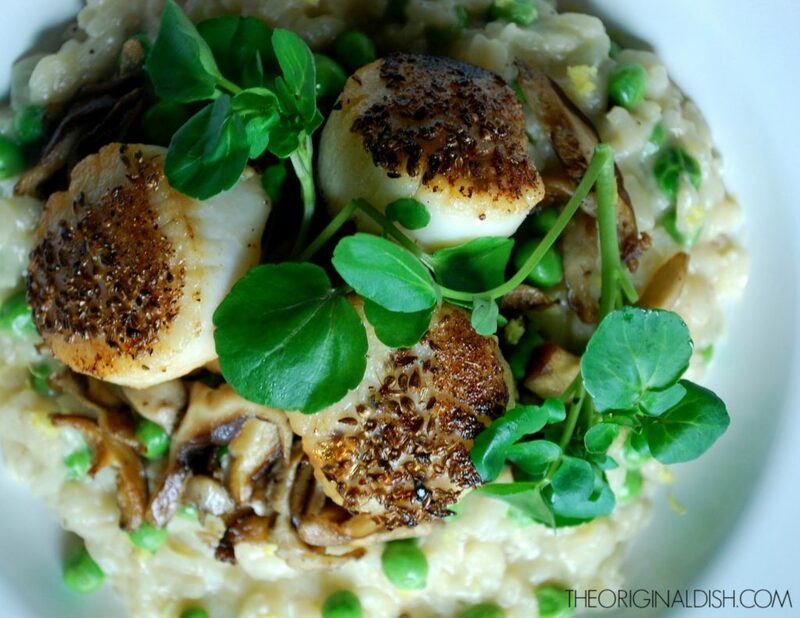 Scallops are my go to choice when it comes to seafood. They are easy to buy, take minutes to prepare, and yet you feel as if you’re eating something special. I was introduced to scallops on one of our first family vacations to the Bahamas. I was young and not the most adventurous eater, but my dad convinced me to try a bite of his entrée: seared scallops over pasta. To my surprise, I devoured most of them and all of their buttery goodness. Since then, I have been coming up with different ways to eat them like my Scallops with Eggplant Caponata. 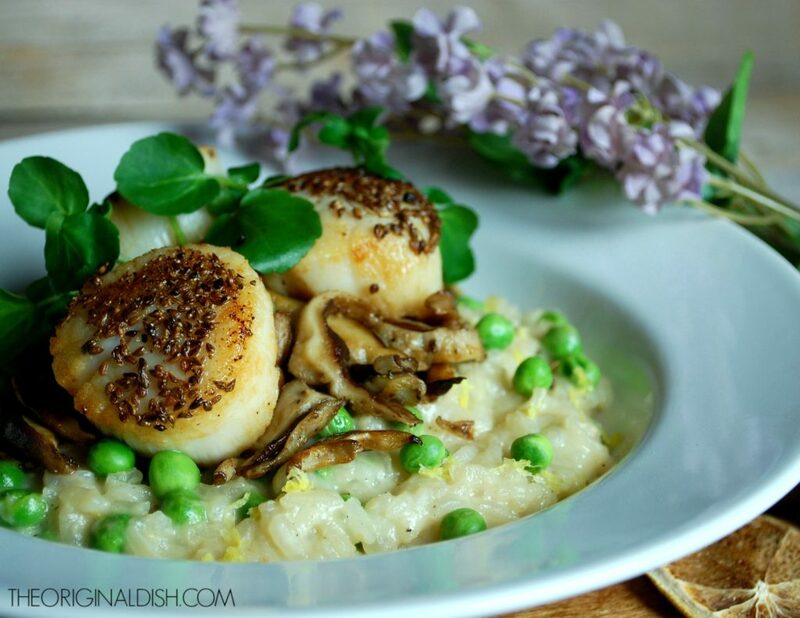 This time I’m making a springtime inspired scallop dish. 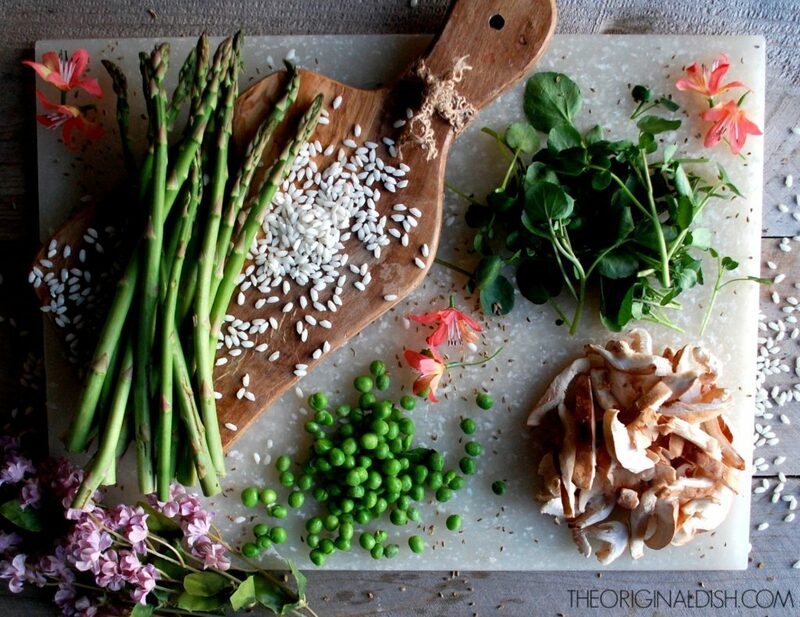 I start by making risotto. I use onions and white wine to flavor the rice. Once it’s cooked, I stir in bright green peas and lots of Parmesan cheese. A little lemon zest and butter are the finishing touches. 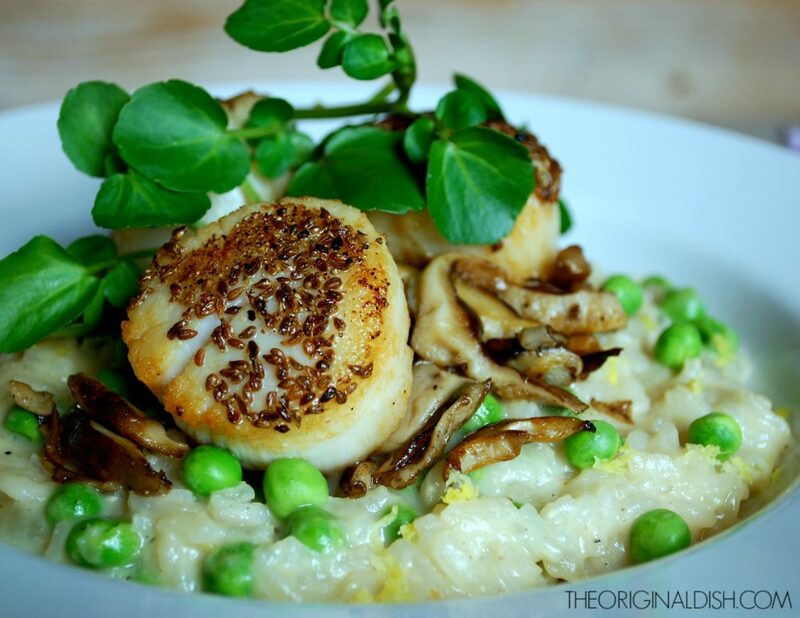 While the risotto is cooking, I make a simple but flavorful spice blend for the scallops. The anise seed is strong so all I combine it with is some garlic powder to round it all out. 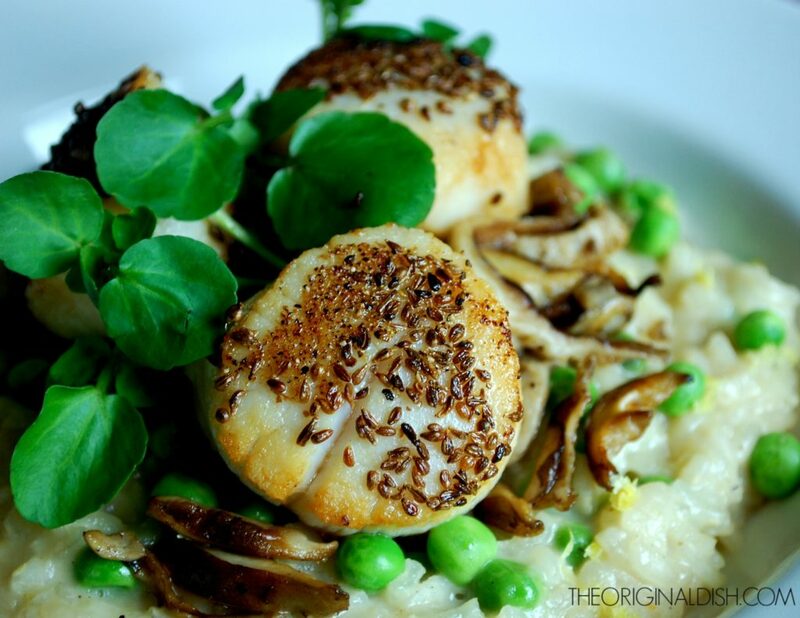 The scallops are seared in hot oil until they’re golden and a nice crust has formed. After just a couple of minutes they’re cooked and ready to top the risotto. 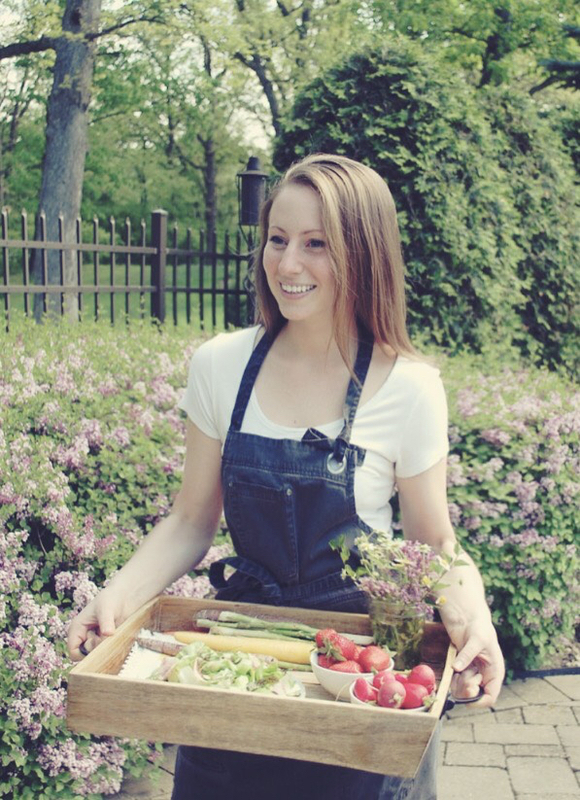 It’s a bright and flavorful dish that’s simple to prepare on a relaxing spring night. Enjoy! In a saucepan, heat the chicken stock over low heat. Keep warm on the stove until needed. In a large pot, heat the olive oil over medium heat. Add the onions and sauté until tender, 8-10 minutes. Add the Arborio rice and toast for a few seconds. Deglaze the pot with the wine. Using ¼ cup at a time, add the chicken stock to the rice. Stir continuously as the rice absorbs the stock. When all of the stock is added, the rice should be tender. If not, heat more chicken stock and continue to add it in. When the rice is tender and has doubled in volume, stir in the peas, lemon zest, butter and Parmesan cheese. Season with salt and pepper to taste. Meanwhile, clean the scallops by removing their adductor muscle (the firm piece of muscle attached to the side of the scallop). Pat them dry. Toss the anise seeds and garlic powder together. Press one of the sides of the scallops down into the spice mixture so that is has a thick coating. When all of the scallops are coated, heat the oil in a sauté pan over medium hot. When the oil is sizzling, place the scallops spice side down into the pan. Cook for a couple of minutes before flipping each to the other side. Finish cooking for another minute or two (be careful not to overcook or the scallops will become tough). Remove the scallops from the pan and quickly add the mushrooms. Saute for just a minute or two and season with salt and pepper to taste. Spoon the shiitake mushrooms onto the risotto. Top with the scallops. Squeeze a little lemon over everything and finish with an extra sprinkle of Parmesan cheese.